The Sisk built Brewhouse No. 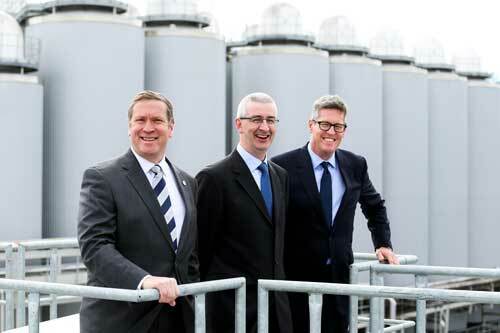 4 at St. James’s Gate has become the first major brewery in the world and the first manufacturing plant in Ireland to achieve the highest award possible in Leadership in Energy and Environmental Design (LEED) certification. The Platinum LEED Certification was awarded to Diageo by the CEO of the US Green Building Council Rick Fedrizzi in a ceremony held at St. James Gate last night. LEED certification is the internationally recognised benchmark for green certification developed by the US Green Building Council to promote sustainability in the building and construction industry. In addition, St. James’s Gate has begun extracting and treating its own water on site, taking 500,000 m3 of demand off the Dublin City drinking water network. This is equivalent to one week of water production for the entire city. 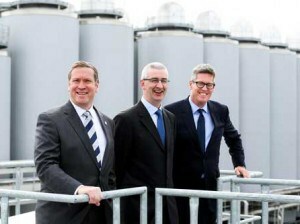 The overall energy saved in one year by the development of Brewhouse No. 4 is equivalent to the total energy consumed by the entire Irish industrial sector in one day. Mr. Rick Fedrizzi, CEO of the US Green Building Council said “I am very happy to be here at St. James Gate, this world renowned site to present this certification to Diageo. St. James’s Gate is a unique space – a city centre brewery over 250 years old that is now one of the most environmentally sustainable industrial sites the world. Dave O’ Leary, Director of Engineering Excellence at Diageo said “Today is such an important day for Diageo and we are pleased to welcome Mr. Fedrizzi to St. James’s Gate. When we were developing plans for Brewhouse No.4 we were tasked with protecting a brewing process that is over 250 years old while creating the world’s most energy efficient brewhouse and the most environmentally-friendly building we possibly could. Brewhouse No. 4 also received BREEAM (Building Research Establishment Environmental Assessment Methodology) ‘Outstanding’ –the highest BREEAM score of any industrial building in the world in 2014.